While Gracepoint continues to bafflingly exist, the second series of the original Broadchurch has started up in the U.K., not to premiere here in the States until March. 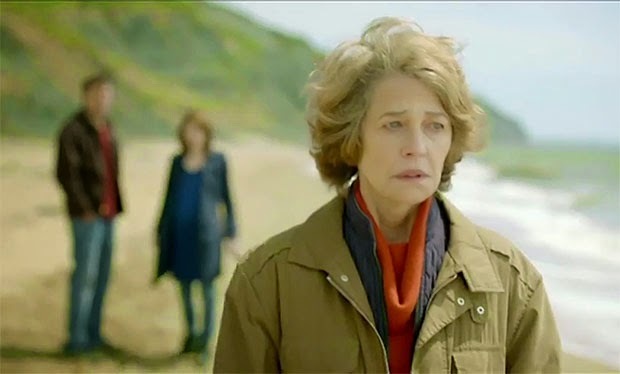 The first series of Broadchurch really captivated me. It was a brilliantly dramatic detective story with compellingly real characters. While certainly not as weird, it was reminiscent of Twin Peaks and Blue Velvet in the sense that we got to dig deeply into a superficially idyllic setting to discover the darkness that lay just underneath the surface. The ending was utterly devastating and shocking–so much so that for many viewers it seemed a bit ridiculous. While it left us in a somewhat traumatic state in one way or another, one thing seemed clear: the mystery was solved. So what could a second series really be about? This was my worry, despite my excitement that I'd get to revisit these characters and this world, but thankfully the show actually continues on quite naturally with it's new premiere. Be forewarned–there is no way to discuss this season without thoroughly spoiling the finale of the first, so turn back now if you haven't finished series one! We pick up just a little while after the last episode, with the killer preparing to go on trial and all the major players making their way to the courthouse to get some much needed finality on the whole sordid affair. Unfortunately for them and for Joe's blindsided defence counsel, he pleads not guilty, throwing all involved back into a fiery emotional state, knowing that they will all have to go through the humiliation of a trial while most importantly worrying that Joe will get away with it somehow. The show very carefully builds to this moment, creating an intense but gradual climax with music cues while drawing in the characters, reminding us of all the ties and relationships. 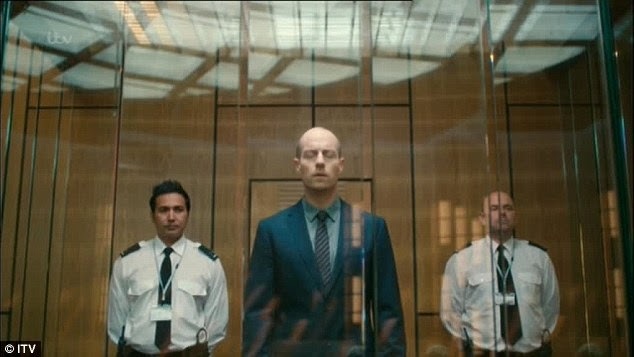 This first episode also does what Broadchurch does best: it introduces new characters and ideas with little or no context, which is a bold move on the writer's part. Although it might engender some confusion at first, what it does most of all is build up suspense in a narratively logical way, exposing us to just the most crucial information to the plot at hand, but withholding just enough to leave you speculating. For example, we see Mark Latimer playing video games in secret with the son of his own son's murderer, and without more context, we don't yet know whether there is something very kind and forgiving in this action or whether something more sinister is taking place. This series introduces a trio of new characters that already add a lot to the atmosphere and ratchet up the drama. The first is of Claire (Eve Myles), who was involved in the Sandbrook case that mysteriously brought DI Hardy (David Tennant) to Broadchurch in the first place. Additionally, we get the lawyers that are defending and prosecuting Joe Miller, played by Marianne Jean-Baptiste and Charlotte Rampling respectively, who each bring new histories and relationships to the show and have already left me begging to know more about them. 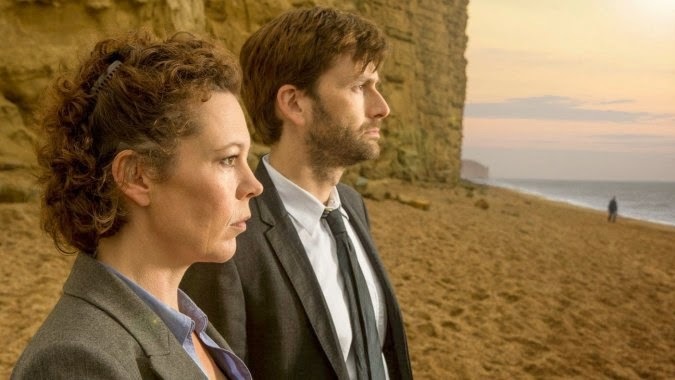 As unlikely as it may seem, Broadchurch has returned just as strong as it left–maybe even stronger. It's naturally continued the case from series one and is exploring it's emotional consequences while at the same time digging into the complex past of DI Hardy. The new members of the cast seem like formidable additions, but the main star continues to be Olivia Colman's irrefutably powerhouse performance. She is tied so closely emotionally to the case of the first season, wracked with guilt and hungry for redemption, and Colman portrays this not with the sense of a victim, but of a woman on the edge of, but absolutely refusing, defeat. Broadchurch returns to BBC America on March 4th.